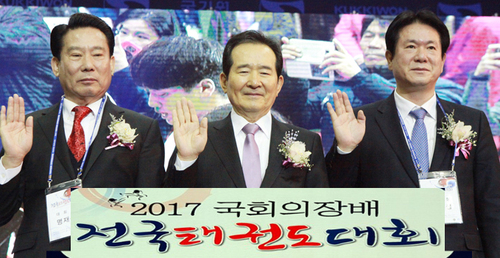 Forum to Celebrate the First Anniversary of Taekwondo, which has been designated as national sport of Korea. 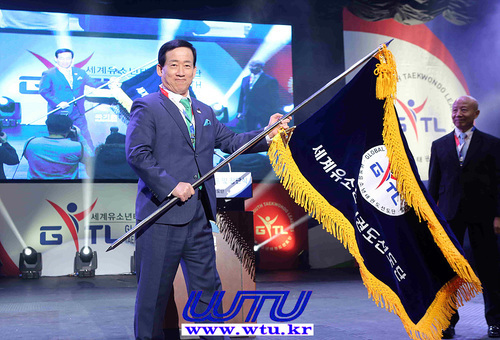 March 29th , at 10 a.m. in the conference room on the second floor of the National Assembly building in Yeouido, Seoul, a forum was held to commemorate the first anniversary of the Taekwondo designation and the National s port Taekwondo Activation Strategy. 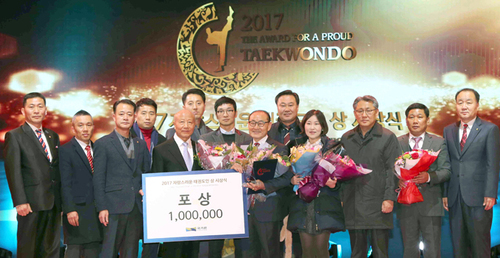 The forum, organized by the Taekwondo Promotion Foundation (Chairman Sang-wook Lee, TPF and Taekwondowon), was held to talk about designation of national art Taekwondo. 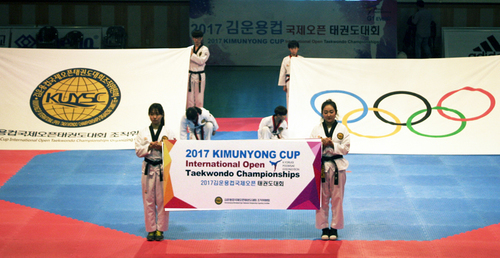 Some revised laws on the promotion of taekwondo and the creation of taekwondo parks were held to commemorate the passage of the National Assembly's plenary session on March 30 last year and to promote taekwondo. The legislation was co-sponsored by 228 ruling and opposition lawmakers, led by Dong-sup Lee (63), president of the National Assembly Taekwondo Federation (114 members), and vice leader of the Bareunmirae Party, and at the sane time secretary-general of the Culture, Sports and Tourism Committee, and Kukkiwon the ninth degree. 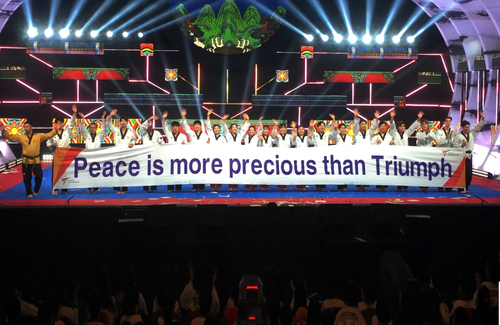 About 400 taekwondo members, including Dong-sup Lee, who is also president of the National Assembly Taekwondo Federation, and Seung-yong Joo(vice-president), Na Kyung-won ( floor leader of the Liberty Korea Party), Kwan-young Kim (floor leader of the Bareunmirae Party), and Sang-wook Lee (chairman of Taekwondo Promotion Foundation), Chang-wook Choi (president of the Korea Taekwondo Association), and Chang-kap Jang (Korea Taekwondo Association for the Disabled), attended the opening ceremony of Forum. 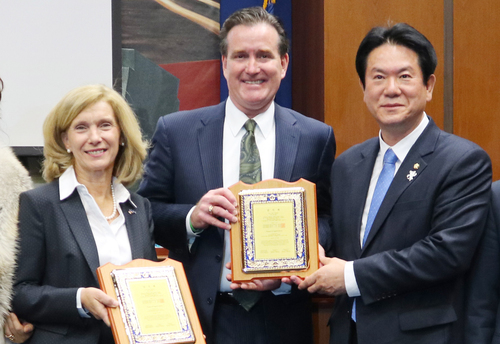 In his congratulatory speech, Rep. Lee said, "The designation of the taekwondo national sport is not realistic for everyone, but I pushed ahead with it, and that I would believe just three people." The three were God, I and Taekwondoists. With my belief and spirit of Taekwondo, I visited all the lawmakers and appealed to them, and it was finally achieved. 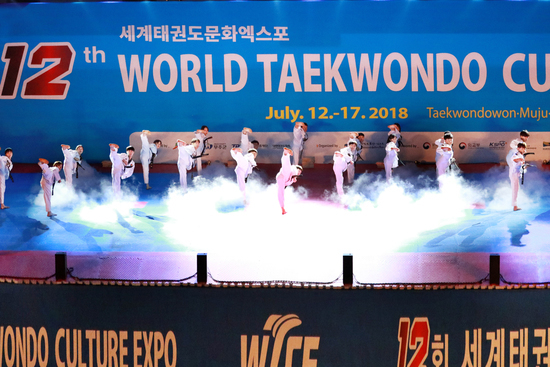 we should further promote our Taekwondo by developing martial art, profession, elder Taekwondo, taekwondo for disabled, mass taekwondo and new features for the world-class taekwondo. I will work hard more and more day and night for Taekwondo” says Lee with hiss deep passion to Taekwondo. 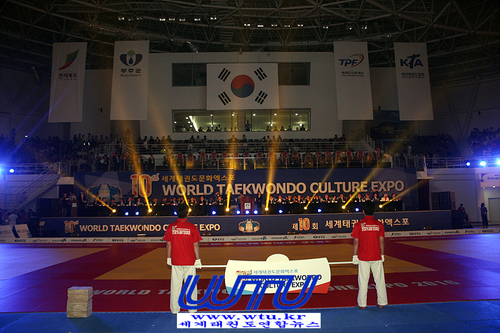 The forum was followed by a keynote lecture by Yong-kyu Ahn, president of the Korea National Sport University, titled "How to Activate Taekwondo after the designation of the national taekwondo martial art(sport)," and a topic presentation by Sung-sook Kim, president of the sports heritage division of the Ministry of Culture, Sports and Tourism, as well as the topic presentation of "How to Activate for National Taekwondo sport." Finally, during the Q&A session, a Taekwondo club leader asked the lawmaker, "Let's elect the head of the National Assembly under a direct election system for the heads of the nation's provincial government." 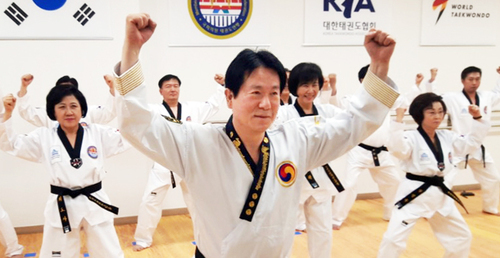 In response, Rep.
On the other hand, after the forum's success, Lee invited key taekwondo figures to Lee's office for the meeting, which was followed by Kyu-hyung Lee, ex- head of Kukkiwon and Choi Chang-shin, president of the Korea Taekwondo Association, as standing advisors to the National Assembly Taekwondo Federation. 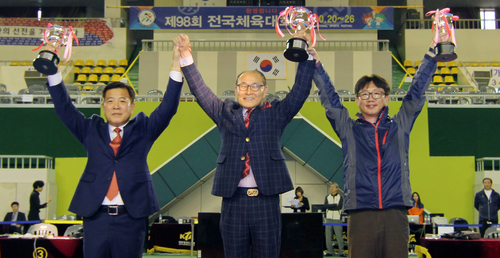 Kukkiwon, the Korea Taekwondo Association, Korea Taekwondo Association of the Disabled, Ministry of Culture, Sports and Tourism, and the Korea Sports Promotion Foundation. 29일 오전 10시 여의도 국회, 의원회관 2층 대회의실에서 태권도가 대한민국의 국기로 지정되고 1주년을 맞아 이를 기념하고자 “국기 태권도 활성화 전략은”이란 주제로 포럼이 개최됐다. 태권도진흥재단(이사장 이상욱, TPF, 태권도원)이 주관한 이번 포럼은 '대한민국의 국기는 태권도로 한다. '는 내용의 “태권도 진흥 및 태권도공원 조성 등에 관한 법률“일부 개정법률 안이 지난해 3월 30일 국회 본회의를 통과한 것을 기념하고 태권도 활성화 전략을 위해 개최됐다. 이 법안은 이동섭 의원(63, 국회의원태권도연맹 총재(회원 114명), 바른미래당 원내부대표, 문화체육관광위원회 간사, 용인 갑, 국기원 9단) 대표발의 주도로 여·야 국회의원 228명이 공동 발의했었다. 이날 개회식에는 국회의원태권도연맹 총재이기도 한 이동섭 의원, 주승용 부의장, 나경원 자유한국당 원내대표, 김관영 바른미래당 원내대표 등 국회의원태권도연맹 소속 의원을 비롯해 이규형 전 국기원장, 김경덕 경기도태권도협회장 겸 국기원9단연맹 회장, 이상욱 태권도진흥재단 이사장, 최창신 대한민국태권도협회 회장, 장용갑 대한장애인태권도협회 회장, 최진규 서울시태권도협회장 등 태권도인 약 400여 명이 참석했다. 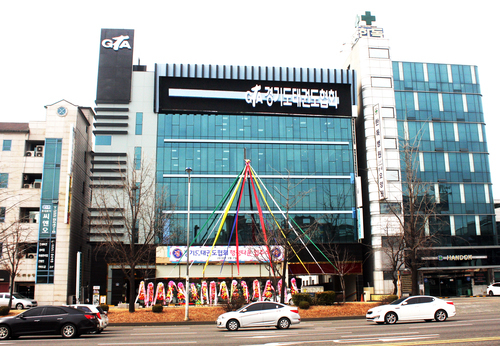 이의원은 축사에서 “국기태권도 지정은 모든 사람들이 현실적으로 안 된다고 했지만 나는 딱 세 사람이 된다고 믿고 강행했다. 그 세 사람은 내가 믿는 하나님, 나 그리고 태권도인들이였다. 나는 이런 된다는 태권도정신과 신념으로 전 국회의원들을 찾아다니며 호소하여 결국은 성사됐다. 또한 작금의 국기원사태를 9단님들을 비롯한 태권도인들이 가만히 있으면 안 되고 잘못된 사안이 있으면 도시락을 싸들고라도 국기원을 찾아가 바로 잡아야 된다. 국기원 개혁이 안 되면 태권도의 미래도 없다. 무도인 들은 잘못된 것을 보고도 가만히 있으면 비겁한 것이다. 특히 국기원 원장은 9단 중에서 선출하여 로마 교황청의 교황처럼 존경하고 받들어야 한다. 이런 원장선출에 현재의 소수의 인원으로 선출하는 정관을 고치고 객관적인 100여명의 선거인단을 만들어 직,간접적인 방법으로 선출해야한다. 이렇게 국기원 개혁을 거치고 나서 세계적인 태권도를 위해 무도, 프로, 노인, 장애인, 대중태권도 그리고 새 품새 개발 등을 통해 우리의 태권도를 더욱 활성화 시켜야 한다. 이런 태권도를 위해 나도 더욱더 밤낮없이 뛰겠다.“라며 이의원의 깊은 태권도 열정이 담긴 축사를 했다. 이의원의 축사 중 방청석에서는 5차례의 박수갈채가 떠져 나왔다. 끝으로 질의응답 시간에는 한 도장 지도자가 이의원에게 “국기원장 선출시 전국의 도장 지도자들의 직선제로 선출하자”는 질의에서 이의원은 답변에서 “국기원은 세계태권도의 본부이기에 한국인으로만 선출하는 방식은 맞지 않는다.”라고 답했다. 한편 포럼을 성황리에 끝내고 이의원은 태권도 주요 명사들을 이의원 사무실로 초대하여 간담회 시간을 같고 이어 이규형 전 국기원장과 최창신 대한민국태권도협회장을 국회의원태권도연맹 상임고문으로 위촉했다. 이번 포럼은 태권도진흥재단이 주관하고 태권도진흥재단, 국기원, 대한태권도협회, 대한장애인태권도협회가 주최하고 문화체육관광부, 국회의원태권도연맹, 국민체육진흥재단이 후원했다.